We often view the spaza shop as something very South African. A 2017 study by Unisa’s Bureau of Market Research (BMR) estimated 300,000 jobs are created by the spaza economy and it further contributed R9 billion to the economy per annum. SA has 2,500 modern trade outlets, including supermarkets, and 140,000 traditional trade outlets, including spaza shops. This contributed to annual retail sales of R316.5bn to March 2017. Traditional trade in urban and rural areas accounted for 22.3% of this, or R70.5bn. Spaza shop owners often start their businesses because they noticed a gap in their community or they have a passion, such as baking or beer-brewing, that they wish to capitalise on. This kind of business strategy is referred to as “bootstrapping.” Customers buy from spaza shops because of: their cheap prices; good service; personality such as friendliness and fairness; it being the only shop in area, having the right stock, good quality, and that they open early. Spaza shops has often been seen as something that evolved out of necessity and circumstance. However, this mind-set needs to be adjusted to make room for a more positive perception towards this essential segment of the traditional trade sector; which contributes R46-billion per annum to the SA economy. Historically, South African spaza shops began as shops situated at the owner’s home that sold a few household items, but gradually many of them have evolved into entrepreneurial projects, which include other locations and as well as many other products and services. Spaza shops are ideally positioned for small, top-up occasions, being conveniently situated on commuting routes and close to shoppers’ homes. These businesses provide vital goods and services to informal settlement residents, as well as stimulate economic growth by circulating money within the community. However, the study also noted at least 80% of new businesses fail within their first year of opening. Many small businesses, like spaza shops, fail because they make mistakes that could have been avoided. Some Spaza shop owners may have insufficient bargaining power or business knowledge to effectively negotiate discounts, which puts them at a disadvantage. There is also little existing collaboration or communication between these businesses, and they rarely have opportunities to learn from or support each other. It is precisely for this reason that these kinds of business owners should make use of quality new innovations and technologies. TallOrder Point of Sale is one such technology. 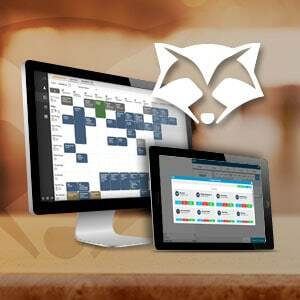 TallOrder POS software is affordable to setup and the monthly fees are minimal, which is ideal for smaller establishments with a varied income. Spaza shops are often high-risk investments, because owners never know if they are going to have a good or bad sales day. In addition, many of these small business struggle to access banks, credit, and business support and training and must compete against larger, more established businesses. A 2017 FinMark Trust study showed there is inadequate knowledge among small business owners of the benefit of credit as a financial tool. Participants in the survey indicated that they do not borrow money because they do not need it or do not believe in borrowing money. A smaller percentage of candidates do not borrow funds from the bank because they are scared or feel that they do not qualify for a loan. However, many spaza shop owners, due to the fact that they are often known in their community and to their customers, offer their customers the chance to buy items on credit. However they may have inadequate ways to keep track of these transactions. Spaza shops are currently predominately cash-only businesses, which mean that they have costly expenses on bank deposits and are often left vulnerable to theft due to the large sums they may be collecting or transporting. Added to this is fact that many spaza shops owners in SA are women, who are often more vulnerable to crimes and theft. Therefore spaza shops can operate more easily with a cashless way of service. TallOrder POS can offer customers the opportunity to pay with various cards and devices, making their own shopping experience quick and easy. With TallOrder POS spaza shops can limit their cash accepting and thereby making their business more secure from theft. Their business is therefore also more secure for the people that want to purchase from them. Spaza stores usually buy directly from wholesalers in large quantities and have to keep track of a number of suppliers. Stock costs money to buy, transport and store. It can also be stolen, damaged or become old. Managing stock sensibly is as important as managing cash flow. A large amount of Spaza shops sell similar items, but not at the same price. With TallOrder’s smart back-end solution, spaza shop owners can customize their item lists according to what they would like to charge in their store, therefore making the item list their own. Spaza shop owners can offer credit to regular customers when they do not have cash to pay for goods. With TallOrder POS, Spaza shops can easily record sales and showcase financials when needed for credit and rental opportunities. Having access to formal credit that will ensure enterprise growth. TallOrder POS will be able to supply spaza shop owners with financial records that allowed those to get financial support for their businesses from banks to buy inventory and ensure that they are able to rent homes and also rent or buy bakkies, for example. It is clear that smaller traders are increasingly being recognised for the critical role they play in the overall growth of the country and many larger companies are moving to empower township and rural traders, and spaza shops. The increase in financial inclusion in Africa provides the “unbanked” with access to the formal financial system and services, such as savings, payments, transfers, credit and insurance. Regardless of the platform South African small businesses, such as spaza shops, need a stronger Web presence and to be more proactive in harnessing the potential of technology. It is clear that there are many benefits for spaza shop owners to embrace new technologies, like TallOrder POS. For example BigSave’s involvement with Spaza shops have greatly boosted these businesses. Just by assisting with setting up Spaza owners properly with shelving and technology these spaza owners were able to grow their business with 200% in merely 3 months’ time. These kinds of technologies assist spaza shops to function more efficiently and professionally to ensure that spaza shops are taken seriously within the South African retail industry. 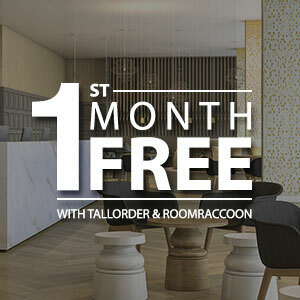 Get TallOrder and RoomRaccoon FREE for the First Month! TallOrder POS V6.0 – Our Most Exciting Upgrade Yet!